What the heck is a HIIT workout??? - Welcome to SarahKesseli.com! What the heck is a HIIT workout??? I have been receiving quite a few emails lately asking me what HIIT training is. By definition it is: an enhanced form of interval training, an exercise strategy alternating periods of short intense anaerobic exercise with less-intense recovery periods. HIIT is a form of cardiovascular exercise. HIIT sessions may vary from 4–30 minutes. 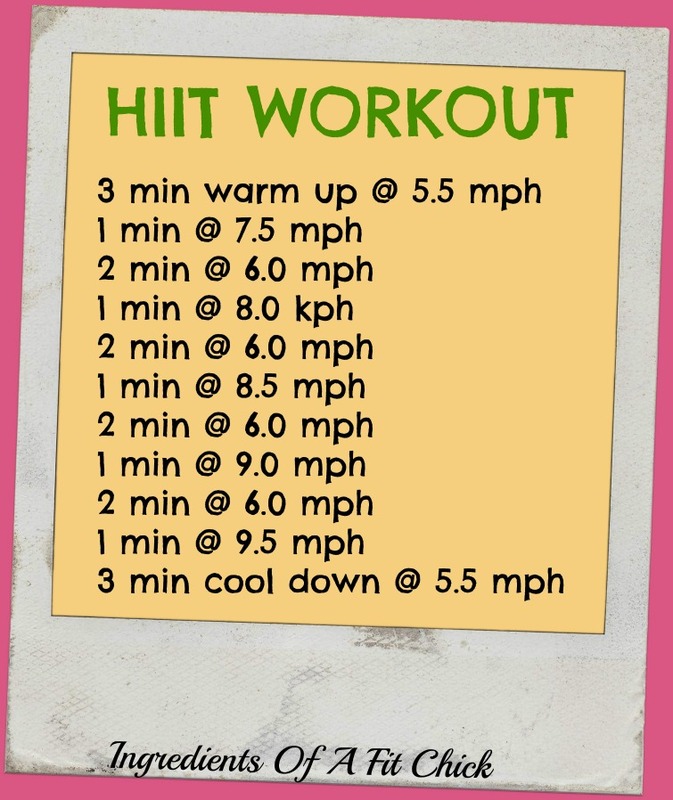 Here is an example of a great HIIT workout! It is designed to be done on a treadmill, but can easily be moved to any piece of cardio equipment! This type of cardio is great for people who are short on time or people who are looking to maintain as much muscle as possible while dropping their body fat percentage. So how do you know if HIIT cardio is right for you? When I work with my clients to develop their personalized exercise program, we look at what your fitness goals are, what your current fitness level is and if you have any limitations in exercise. From there I am able to create a custom ‘recipe’ for your fitness goal! Are YOU ready to sweat? *Have you ever done a HIIT workout before? *If so, what was your workout? *What type of cardio do you think works best for you?